2010 Evasive Defensive Driving Training Course. 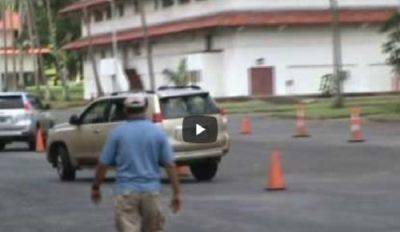 ISOG provides Panama Ports Company’s drivers with evasive defensive driving training course. ISOG is contracted by Panama Ports Company S.A., a Hutchinson Port Holdings’ company, to provide a group of security drivers with the latest evasive defensive driving training course. “We have designed and delivered a very high quality evasive defensive driving training course. Panama Ports Company and Hutchinson Ports Holdings selected us for delivering such training course because of the well known reputation ISOG instructors have gained on the field during several years of dedicated work. Panama Ports Company has demonstrated that any multinational company can and has to invest in the security of its executives and employees in order to reduce the overall business risk for the mother corporation. 2010 evasive defensive driving training course is a new success for our organization.”, Paolo Bourelly, President of ISOG, has declared today.